Please note that the Powys Environmental Partnership (PEP) Small Grant Scheme is now open to applications. This is one of the ways the Partnership works within the community to encourage environmental projects. The Grant can be offered to any project within Powys that will bring a benefit to the environment and communities of Powys, especially those that address Climate Change and biodiversity. Over the years the Grant has supported events ranging from environmental fairs to school recycling projects. Any innovative project that works towards the key environmental priorities will be considered. The closing date is 11th September. If you have any question please contact Heather Delonnette. The Foundation will operate a grant round approach from 2016. If you require a funding decision before March 2016 you will need to have submitted an Expression of Interest Form via our website by midnight on Friday August 28th. The Foundation will ensure all enquiries received before this date will receive a decision by the end of the year. Grants of up to US$12,000 are available to prevent the spread of HIV. The Fund also provides Staying Alive materials (including programming and teaching kits), a small fund to buy technical media equipment, a local mentor, a personal grant manager, training and development. - Educate and/or give out responsible and accurate information about HIV and AIDS targeted at young people in their communities. - Eliminate or alleviate the stigma and discrimination associated with HIV and AIDS. - Encourage young people to take concrete action to protect themselves from HIV infection. - Demonstrate innovation and creativity in their activities. - Reflect and honour the culture in which the project operates. Community-based, grassroots organisations that are led by young people between the ages of 15 and 27 that work in HIV prevention are eligible to apply. Projects can be supported from anywhere in the world. The deadline for applications is 24 August 2015. Impetus offers venture philanthropy packages to ambitious, innovative charities and social enterprises that are helping children and young people aged 11-24 living in poverty in the UK get the support they need to unlock their full potential. Funding and expertise is provided to support the development of a whole organisation and not just a particular project or activity. In the financial year ending 31 December 2013, Impetus awarded just under £9 million in grants, although its total audited funding package, including pro bono and investment management services, was estimated at £58 million. Long-term core funding to enable charities and social enterprises so they can improve their effectiveness and build their capacity. This funding is linked to the organisation meeting pre-agreed milestones, which are tracked on a quarterly basis. Impetus particularly looks to work with innovative charities and social enterprises, helping transform their performance over a defined period of time so they can help many more economically disadvantaged people in England. Hands-on management support is given to the chief executive and senior management of the charity by an experienced, in-house investment team. Impetus-PEF investment team members have substantial consulting, financial and voluntary sector experience, and their support spans the entire investment period. Support from highly skilled experts who volunteer their skills to undertake specific, mutually agreed capacity-building activities. Each project has a defined period of time and objective, to ensure results. 1. Business model review and business planning. 2. Financial planning and reporting. 3. Development of performance measures. 4. Senior management team coaching. The Trust can be contacted at any time to discuss eligibility. Further information is available on the Impetus website. o to relieve musicians, employees and ex-employees of music publishing entities, including widows, widowers and children. who are in conditions of need, hardship or distress”. The Foundation has mainly supported the performance, under strictly non-commercial conditions, of new and recent music. It has also occasionally provided funds for research projects not being conducted under the aegis of an academic institution. From 2014, the Foundation has continued this policy of grant-aid, but within a more flexible framework: although support will continue to be provided on the same scale and for the same kinds of project as in the past, there is also the possibility of larger provision in certain cases where the Trustees feel that a more committed and specific association would be appropriate and helpful. Grants normally fall between £1,000 and £10,000. In the financial year ending 31 December 2013 the Foundation awarded grants totalling £73,650 (2012 - £36,172) to 35 organisations and individuals. Financial support falls into two main categories: (1) New Initiative Projects and (2) Grants. These are multi-year partnerships with organisations with a focus on supporting the creation and performance of contemporary classical music by living composers. 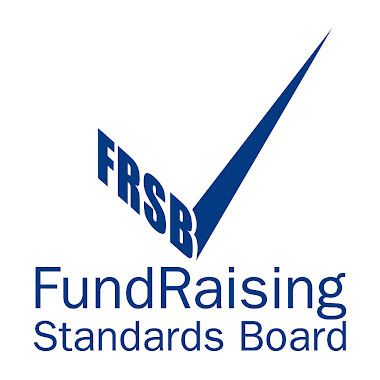 They provide a level of longer term commitment to these organisations (initially up to three years subject to availability of funds) and a closer level of engagement with the Foundation. o Consideration of the significance of the proposed project to the local community as well as the broader UK contemporary music landscape. o Projects with a very large over-arching budget or where the budgeting is unclear or largely speculative. o Applications for which there are existing official schemes of help. o Assistance in purchasing musical instruments or equipment including the electronic or computer variety. The Foundation prefers to support organisations that are making a contribution themselves to the total costs required. The next application deadline is Thursday 20 August 2015. Further information and an application form is available to download from the Foundation's website. The annual legacy giving awareness drive, Remember A Charity in your Will Week, will take place from 7 – 13 September 2015. The sixth annual campaign, run by charity consortium Remember A Charity, aims to make legacy giving a social norm. British cooking appliance brand, Stoves, is offering £20,000 in prizes to transform kitchen facilities in community projects across the UK as part of its ‘Community Kitchens’ campaign. Welsh Government, Directorate of Environment and Development has issued a call for funding for small-scale projects. They are now inviting bids for small scale project funding (£1,000 – £15,000). Deadline for applications is 11 September 2015. The activity proposed must be completed by 31 March 2016. The guidance notes in full and application form can be found here on the Welsh Government website. The Rural Community Development Fund has been set up to enable for small-scale infrastructure projects to improve community cohesion in rural areas of Wales. - Improvement or expansion of local basic services. - Community transport and connectivity. - Village renewal and public amenities. For support for drawing up development plans and protection and management plans, the maximum grant contribution will be no more than: 50% of eligible costs. A minimum limit of grant of £400 will apply. For support for studies and investments for maintenance, restoration and upgrading of cultural and natural heritage, the maximum grant contribution from the grant level will be no more than: 50% of eligible costs. A minimum limit of grant of £400 will apply. For facilitating the supply and use of renewable sources of energy, of by-products, wastes and residues and of other non-food raw material, for the purposes of the bio-economy, fostering local development in rural areas and enhancing accessibility to, use and quality of information and communication technologies (ICT) in rural areas, the maximum grant contribution will be no more than 80% of the total eligible project costs. A minimum limit of grant of £2,400 will apply. For small-scale infrastructure investments the maximum grant per project is £128,000 towards a total project cost of £160,000. - Support for drawing up development plans and protection and management plans. - Support for investments in the creation, improvement or expansion of all types of small scale infrastructure, including investments in renewable energy and energy saving. - Support for broadband infrastructure, including its creation, improvement and expansion, passive broadband infrastructure and provision of access to broadband and public e-government. - Support for investments in the setting-up, improvement or expansion of local basic services for the rural population including leisure and culture, and the related infrastructure. - Support for investments for public use in recreational infrastructure, tourist information and small scale tourism infrastructure. - Support for studies and investments for maintenance, restoration and upgrading of cultural and natural heritage. The first deadline for Expressions of Interest is 31 January 2016. Applications to the WREN Community Fund must now be made online for all future deadlines. After announcing the launch of the new unified Community Fund scheme in January 2015 – which is designed to help deliver public amenity projects within 10 miles of a FCC Environment landfill site in WREN’s operating areas across England and Wales – WREN has now announced that all applications for future funding must be made on the online application form. The 8 July 2015 deadline was the last deadline for which paper-based application forms would be accepted, and the new online form is expected to go live by 7 August 2015. Applicants should note that an email address will be needed to access the online form. The Community Fund offers grants of between £2,000 and £50,000 for projects that fit Object D of the Landfill Communities Fund. Under Object D, projects should show commitment to the protection of the environment, and the provision, maintenance or improvement of a public park or other public amenity. WREN defines a public amenity as something that a community can access and use for leisure or recreation purposes. Construction of footpaths and cycle ways in public parks. Community organisations, voluntary groups, charities, and other not-for-profit organisations and groups can apply for funding as long as they have a formal constitution and bank account. Local authorities can also apply. All projects should be ready to start within six months of a funding decision being made. The deadline for the next round of funding is 4 November 2015. LEGACY FUNDRAISING COURSE - DON'T MISS OUT! The session will begin by considering the latest academic research into why people leave legacies to charity, in order to understand what motivates your potential legacy supporters. We will then look at how these insights can be translated into practice as we work step-by-step through the process of developing a legacy strategy for your organisation, illustrated with best-practice examples from a number of not-for-profits. The Credit Union Development Fund is now accepting applications for its 2015 grant programme from across the UK. The Fund is designed to support specific projects or activities run by credit unions. • Develop initiatives in the sector, specifically around the promotion of general awareness of the sector. • Enhance the level of professionalism within the sector. • Support financial inclusion for credit union members. Grants of up to £3,000 are available to both new and existing credit unions. PLEASE NOTE: applicants are required to hold an account with Unity Trust Bank. • Marketing – designing and printing leaflets, posters, banners, signage etc to promote the credit union. • Telephone/IT infrastructure – investing in or upgrading the phone and computer technology hardware, software or systems that the credit union and/ or customers use to administer accounts. • Human resource – recruitment, consultancy, agency, salaries or training for staff or volunteers which will enhance the knowledge and operation of the credit union. • Partnerships – building partnerships with other community organisations such as schools, religious groups, housing associations, councils, etc to promote the work of the credit union and increase membership, reach and impact. • Lending – to begin or grow lending activities to become a clear alternative to payday or doorstep lenders. • Buildings – moving, renting, purchasing, or refurbishing property used as a base or outlet for the credit union to enhance capacity and visibility to members, especially in areas with no local banking presence. The deadline for applications is 1pm on Friday 28 August 2015. An online application form and further information is available from the Unity Trust Bank’s website. Details of the programmes that are open for applications can be found by following the link below. The Stepping Stones grant scheme is provided by The Royal Masonic Trust for Boys and Girls and aims to help reduce child poverty by breaking the link between the lack of access to education and the cycle of poverty. The scheme supports the most disadvantaged children by providing grants to other charities which undertake work in this area. The maximum grant is £20,000 for one year and £30,000 across a two year period. There is no match funding requirement. About 15 grants are awarded in total each year, two or three of which are maximum grants. o Engaged in work aimed at reducing child poverty/breaking the cycle of poverty through education and education-related activities. o In a position to significantly impact life outcomes for young people. o Able to demonstrate their understanding of the regional or national context in which they work and the root causes of the issues they wish to tackle. The funding should be used for specific programmes, initiatives and one-off/specific overhead costs and will cover projects, salaries or core-funding. o Working with charities which can use the grant period to move into a stronger position to attract other funders once the Trust withdraws. o Working with projects that can demonstrate their impact or well evidenced new projects that need start-up funding in order to obtain data that demonstrates their impact. o Considering new and innovative ideas aimed at helping vulnerable children and young people succeed in life which could provide a model for wider application. o Supporting programmes that work with populations excluded from mainstream educational services. o Funding a programme providing training and accommodation for homeless youth. o Supporting the costs of a senior clinical supervisor to work with children who experienced deprivation or trauma in their early years. o Providing assistive educational technology for young disabled people. o Funding day care services for children with special needs. o Funding a children’s worker in a refuge for women who have experienced domestic violence. o Supported the staged roll out of a project to enable disadvantaged teenagers to improve their communication skills in preparation for the workplace. o General contributions to capital or building projects. o Beneficiaries outside of England and Wales. o Charities solely working in Scotland or Northern Ireland. Charities interested in applying should submit a one-page initial enquiry that includes the charity’s registration number, details about the main area of work, the amount of the grant requested and a description of the programme or project that the grant would be used towards, including its location. This can be sent by email or by post. The deadline for one-page initial enquiries is Friday 14 August 2015. Further details about the Trust and how to apply are available on its website. The Ministry of Defence has issued advance notice that the Covenant Fund, designed to support current and ex armed service personnel and their families will open to applications on Thursday 13 August 2015. 4. Non-core healthcare services for veterans. The themes will shape the fund, and annual priorities will ensure that it stays focused and current. • Veterans in the criminal justice system. 2. Large grants up to £500,000, for more strategic, higher impact projects (one round this year) which will launch in mid August with a deadline in late September. To support the launch of the fund, the Ministry of Defence is running an event at the MOD Main Building in Whitehall, London on Thursday 23 July. The event will focus on the large grants programme (funding for the co-ordination and delivery of support to the armed forces community and veterans in the criminal justice system). Armed forces charities and other registered charities, which work with the armed forces sector, will be eligible to submit applications to the large grants programme. The MOD warns that places are limited though it will only be possible to accommodate one person from each organisation. Ideally, this would be someone senior such as a Chief Executive or Director. Decisions on both small and large grants will be made by a national panel based on the recommendations of regional panels. The new Covenant Fund will be more strategic and more closely targeted at areas of need. It will have new aims, new rules and a new application process. More information on criteria and eligibility will be publicised in late July, ahead of the launch of the formal application process in mid August and we'll carry an article in GRIN once details are announced. For further information about the Covenant Fund follow this LINK. The principal activity of the Bet 365 Foundation is to distribute funds in support of local, national and international charitable activities. Its primary objective is to work through UK registered charities to provide front-line funding that is used to make a positive difference to people's lives. Charities are invited to present proposals to the Foundation's Trustees detailing how a donation would be used and the benefits it would deliver. The Trustees assess how the proposal aligns to the objective to provide front-line funding that makes a "positive difference" in order to determine whether or not to grant a donation. The Financial Year 2013/14 was the Foundation's first full year of activity. During the year it provided £1.45 million of donations to20 charitable organisations, 14 of which each received donations totalling more than £20,000. The average grant award was for £72,500. The Foundation gifted significant funds to provide care and life enriching support to individuals, and their families, living with progressive terminal illness, non-curable illness and disability. The Foundation take the view that education is the key to an individual achieving their full potential, therefore access to education is of paramount importance. Through no fault of their own some people face greater barriers than most. The Foundation is committed to trying to make a difference, giving people an opportunity to realise their potential by helping to "level the playing field". Large scale natural disasters have a devastating effect on people's lives. In the immediate aftermath of Typhoon Haiyan the Foundation provided a donation to a UK registered charity running an on-the-ground, front line emergency relief programme helping individuals/communities in the Philippines. The Foundation’s intention is to provide young people with access to facilities and equipment that they may not ordinarily have access to. Its desire is for individuals to develop skills and positive interests that could help with their future careers. Areas of focus include; web design, application development and graphic design. The Arts, for many, are a life enriching source of pleasure with a theatre providing a focus for the local community. During the year the Foundation made a donation to a local theatre; the donation resulted in it increasing its show investment, enabling it to enhance the scale and size of its productions. As a consequence of the Foundation's donation the theatre was also able to apply for matched funding from the Arts Council, which it received. PLEASE NOTE: the Foundation does not have a website. Further information about its work is, however, available on the Charity Commission website. The Coral Samuel Charitable Trust provides grants to registered charities throughout the UK. The scheme aims to fund projects that promote education, welfare and culture. Funding is at the discretion of the Trustees. Previous grants have been for between £1,000 and £25,000. In the financial year ending 5 April 2014, the Trust made grants to 41 institutions totalling £289,680. Funding is not available for individuals. Please note the Trust does not have a website or a public email address. Police and Crime Commissioner Christopher Salmon has launched a scheme to save lives across Dyfed-Powys. He wants to hear from organisations with great ideas on keeping road users safe across Carmarthenshire, Ceredigion, Pembrokeshire and Powys. The best proposals will get a share of £300,000 to develop and run their schemes. Mr Salmon said: “Too many people die or are seriously hurt on our roads; I want to change that. The fund will improve the safety of road users in Dyfed-Powys and reduce the number of road casualties across our communities. The Commissioner will make grants to public sector, police force, private sector, voluntary or community organisations and encourages organisations to work together. A separate smaller budget of £35,000 is earmarked to look at specific research between academic institutions and partners, with a focus around emerging trends affecting road safety. Mr Salmon aims to support projects that show a demonstration of innovation in building the research evidence base and applying it through knowledge exchange across all levels of road safety. Applicants can apply for funding from today [June 18] until September 8. More information here or alternatively contact Jess Williams in my office on 01267 226440. The Esmee Fairbairn Foundation provides grants to not-for-profit organisations in the UK that are at, or close to, the preliminary stage of discussions with an identified potential merger partner or partners. Grants up to £15,000 are available. Organisations applying to the Merger Fund must demonstrate that they have unrestricted reserves equivalent to at least three months’ running costs. This applies to all parties involved with the merger feasibility investigations. • Consultation with staff, beneficiaries, members and other stakeholders. • Facilitation of discussions with the potential merger partner(s). • Governance, planning, financial, legal, HR or communications advice. • Formation of long-term, strategic collaborations with other organisations to enhance beneficiaries' outcomes. This is not an exhaustive list, and consideration will be given to any reasonable request for work that helps to make the decision of whether or not to merge easier. The fund is not intended to meet any costs associated with a merger once a firm decision is made to proceed. The Institute for Voluntary Action Research has published two reports: Story of a Merger and Merger as a Strategy that potential applicants may find useful. • A completed application form which is available on request from the Foundation. • A brief description of the merging organisations - history, services, recent achievements, beneficiary, staff, volunteer and member numbers, niche occupied in the sector locally, regionally or nationally. • Details of whether or not the organisation has successfully worked in partnership with the merger organisation(s) before. • The rationale for considering a merger - what benefits will it bring to: the two (or more) organisation(s); and to the wider sector? Applicants must explain how the merger matches the criteria of the Fund. • A description of the stage the organisations have reached in the process and what the needs are. Completed applications should be emailed toinfo@esmeefairbairn.org.uk (with 'Merger Fund' in the subject line of the email). Alternatively, applications may be submitted by post. For further information about the Esmee Fairbairn Merger Fundvisit the Foundation’s website. The national supermarket chain Morrisons has recently established the Morrisons Foundation to support local good causes across Great Britain. Grants are available for new projects that groups would like to get off the ground but for which they have no funding. o Improving the local environment. There is no minimum or maximum grant level. Funding is at the discretion of the Foundation. Previous grants have ranged from£5,000 to £20,000. The Foundation is expected to launch its new website within the next few weeks. Once the new website is available, the application process will be online along with full details about the fund. Currently, a Charitable Grant application form can be found on the old website. This can be downloaded and posted to the Foundation. Registered charities in Great Britain can apply at any time. There are no deadines. o For-profit organisation and projects. o Projects which have already been started. o Projects taking place in Northern Ireland. For further information visit the Morrisons Foundation website. M&S Energy has launched the Community Energy Fund Competition to enable more communities to generate renewable energy and become environmentally and financially sustainable. Not-for-profit organisations in Great Britain are eligible to apply for funding for renewable energy projects that can demonstrate they have the support of their local community. Grants can be used for all capital costs relating to the installation of the specified technology. - A national funding pot for a project that requires a maximum of £40,000. - A national funding pot for a project that requires a maximum of £20,000. - Regional funding pots for projects that require a maximum of £12,500. There is also a minimum funding of £15,000 which will be split between the most inspiring and innovative projects. Shortlisted applicants will need to organise support from their community to vote for their campaign on the competition website. The deadline for applications is 29 July 2015.